Child Abuse cases typically involve harsher sentences for the defendant if found guilty. In many cases even a first time offender may be sentenced to jail. If you have been accused of this crime, you should speak with an experienced Orlando criminal attorney at your earliest convenience to learn about your rights and the defenses that may be available to you. 1) Intentionally inflict physical or mental injury upon a child. 2) Intentionally commit an act that could reasonably be expected to result in physical or mental injury to a child. 3) Actively encouragement a person to commit an act that results or could reasonably be expected to result in physical or mental injury to a child. This offense is third degree felony if the abuse does not cause great bodily harm or permanent disability or disfigurement. 1) Commit an aggravated battery on a child. 2) Willfully torture, maliciously punish, or willfully and unlawfully cage a child. 3) Knowingly or willfully abuse a child and in so doing cause great bodily harm, permanent disability, or permanent disfigurement to the child. Aggravated child abuse is first degree felony. 2) The failure to make a reasonable effort to protect a child from abuse, neglect, or exploitation by another person. Child neglect is a second degree felony if the person willfully or by culpable negligence neglects a child and in so doing causes great bodily harm, permanent disability, or permanent disfigurement to the child. If there is no great bodily harm, permanent disability, or permanent disfigurement it is a third degree felony. 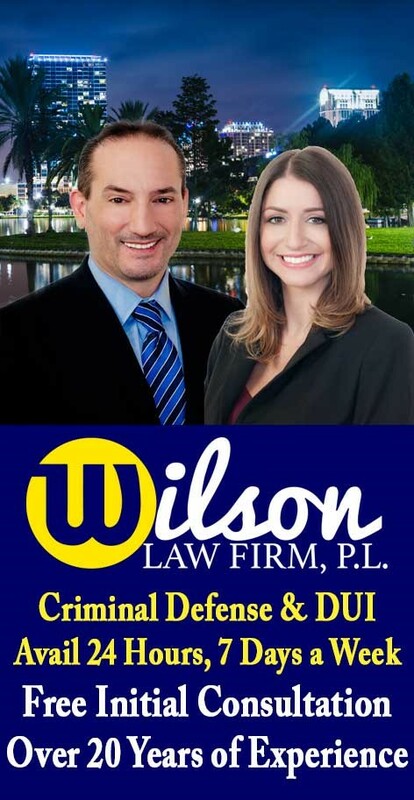 If you or a loved one have been arrested for child abuse, call the Wilson Law Firm today to speak with an experienced Orlando criminal attorney about your situation. In many child abuse cases, a properly prepared defense by a criminal lawyer will result in either reduced penalties, reduced charges, or a dismissal of the charges. Even in child abuse cases where the evidence of guilt is overwhelming, a properly prepared defense and presentation of mitigating circumstances by an Orlando criminal attorney can result in significant decreases in the penalties you receive. Florida Statute 827.03 – Abuse, aggravated abuse, and neglect of a child; penalties. Florida Statute 827.035 – Newborn infants. Florida Statute 827.04 – Contributing to the delinquency or dependency of a child; penalty. Child Abuse Crimes: The Wilson Law Firm provides a free initial consultation with an Orlando criminal attorney. Call us today to speak with a Orange County Criminal lawyer about the legal process and your rights.